Britt & Per Karlsson, Biodynamic, Organic and Natural Winemaking: Sustainable Viticulture and Viniculture. Floris Books, 2014. John Kiger, A Vineyard Odyssey: The Organic Fight to Save Wine from the Ravages of Nature. Rowman & Littlefield, 2013. It’s really not that easy being green if you are a winegrower or wine maker. For a long time green wines (organic, biodynamic, sustainable and so forth) were not a very dynamic category here in the U.S. You could find them, but they were tucked away in what I call the “green ghetto” neighborhood at the supermarket, close by de-alcoholized wines, half-bottles, and other sometimes slow-selling SKUs. Some research actually suggested that consumers were not only unwilling to pay more for organic wines, as they often do with other organic products. They actually valued them less than other wines. So many people who made organic or biodynamic wines didn’t go out of their way to advertise the fact. Much different from Europe, where “bio” wines are a strong category. This is changing and I expect to see green wine sales grow, albeit from its current small base. The dynamic is driven by both supply and demand. On the supply side, more and more wine grape growers and producers simply want to be green — they see it as the best way to do business, especially in the long run — and want to advertise that fact and develop the market category. Jean-Guillaume Prats, chief of the wine group at LVMH, goes further. He told the Wine Vision 2014 audience that in considering vineyard investments, if you can’t grow the grapes organically, maybe you shouldn’t grow them at all! He’s obviously focused on the luxury wine segment, but the message resonates in other parts of the market. On the demand side I see green wines as part of a bigger movement. A friend pointed out to me that consumers who shop at Whole Foods, Trader Joe’s and other upscale supermarkets simply expect that the products they find there will be organic — and are turned off if they are not. They look for organic certification everywhere else in the store. Why should wine be any different? So things are changing, although it may take a while for the build-up of small ripples and waves to come crashing to shore. I think this is a good time to rethink green wines and the two books reviewed in this column are excellent places to begin. Britt and Per Karlsson write about wine from their base in Sweden and this book, which first appeared in Swedish in 2012, is a welcome green wine primer. Its scope is broad, including organic, biodynamic, sustainable and natural viticulture and winemaking. The Karlssons provide good depth and detail, covering the science, economics and regulatory politics of green wine today. Theory and practice, just what you need. I was especially interested in the curious politics of EU organic wine regulations. Because of the desire to have one set of rules for everyone from Greece to Latvia, the compromise results can seem illogical. The limits on copper use, for example, seem driven by the need to accommodate Burgundy in a particularly bad year and so are out of balance for other parts of the EU. A regional approach would seem to make better sense here as in many other instances, but I think some of the Eurocrats are suspicious of regionalism, so illogical compromise rules. Although there is more detail about European practices and regulations than New World activities, I found plenty to work with and the contrast of regimes helped me understand them all much better. The book is clearly written and organized and lavishly illustrated with color photos that are both beautiful and informative. I learned something new in every chapter, but I was especially interested in the biodynamics section. The combination of thorough research and personal interviews with growers and winemakers made this material come alive for me. Sometimes the smallest points are the most satisfying, so I was pleased to learn the origin of the numbers that are used to identify the biodynamic preparations. These preparations often raise eyebrows because they seem to represent the “voodoo” side of biodynamics — manure stuffed in cow horns, buried in the vineyard and then made into a tea to spray on the vines, for example. Why are they identified with numbers not names? Numerology? No, it’s more about politics. The numbers (cow horn manure is Preparation 500) may have come about when the Nazis in Germany banned biodynamic agriculture, the Karlssons report. Proponents learned to speak in a numbers code to avoid detection. Who would have guessed? The Karlssons present all this information objectively and openly question some of the most extreme claims of green wine proponents, but I don’t think you write a book like this unless you think there is something in the concept itself. In this regard I think they reflect both the times, which as I noted before now seems to favor organic products, and their location (Scandinavia is a good market for green wines). This is a fine book and worth your attention. It really isn’t easy being green — not easy at all — and as much as the Karlssons give a strong sense of this in their survey, there is really nothing like a report from the front lines of the battle. John Kiger and his wife Deb own and operate Kiger Family Vineyard in Sonoma Valley, which is not a region where nature cuts the green winegrower any slack. Just the opposite in fact. At times it seems like being natural is a battle against nature itself. Kiger’s book makes a nice pairing with the Karlssons’ because it is at once so similar in topic and yet so different in approach. Kiger’s book is clearly personal, for example. The author presents a first person account of the triumphs, failures and struggles. The book has heroes (including the Kigers and their allies) and villains, too, chief among them is oidium or powdery mildew, which is a threat to vineyards everywhere and perhaps especially in cool-climate Sonoma Valley. Kiger becomes obsessed with powdery mildew, by his own account, and so we learn a great deal about it. This intense focus is very helpful because an organic wine farmer necessarily becomes obsessed with all the harmful fungi and harmful insets and so forth and is driven to find natural ways to combat them. The book’s first chapter is titled “If I’d Only Known Then What I Know Now,” which tells you that it really hasn’t been easy being green, and the last chapter is called “Truce.” which might suggest that the Kigers have come to terms with nature’s many sides. But I think it is really that they have accepted that each new year starts a new cycle of natural challenges like powdery mildew and that this struggle has value in itself in addition to the grapes and wine that are produced. These two books make a nice pairing for your wine economics bookshelf. File them alongside Caro Feely’s books on her struggles with organic and then biodynamic winegrowing in France. Follow this link to read my review of Feely’s books. Cheers to everyone who struggles to be green — we know it’s not easy! Here’s the obvious music for this column and the lyrics sort of apply to the green wine case, don’t you think? Regular readers of The Wine Economist know that I get a lot of insights from my students and former students. Marina Balleria, one of my current students at the University of Puget Sound, studied in Chile in Fall 2010 and, knowing of her interest in wine and society, I invited her to write an essay for publication on The Wine Economist website. Her article is inspired by a visit to a biodynamic winery, but Marina uses it as a springboard to comment on broader social issues. Use a wineglass as a lens to view society? Where could she get an idea like that? You can read her article, which I’ve titled “Biodynamic Wine in Chile: Who Benefits?” by scrolling to the bottom of this post. Marina’s essay raises a number of important questions about the nature of Chile’s economic development. I’d like to use this post to address two different but related issues. Good and Cheap: A Vicious Cycle? The first concerns Chile’s continuing difficulty breaking out of the bargain basement of the world wine market. Chile has long been know as a country where “Prices are very low and quality is very high — the ideal arrangement from everyone’s point of view except the Chilean farmer,” according to Hugh Johnson writing 40 years ago in an early edition of his book, Wine. I think he might say the same thing about Chilean wine today. Chile has long been cursed with a reputation for bargain wines and pressures to keep export prices low have continued and intensified even as the average quality has soared even higher. A good deal, as Johnson noted … for everyone else! No wonder Chileans are willing to try new things, as Marina notes in her essay, since old things seem part of an endless cycle. Organic and biodynamic wines are a rather natural thing to try. Having escaped the curse of phylloxeria, Chile can grow wine grapes on their own rootstocks. Combine this with chemical free viticultural techniques and gentle cellar practices and there is an opportunity for a nearly unique product in the world of wine. You can’t blame the Chileans for thinking that perhaps this is a way to escape the bargain basement trap! The question is, are wine consumers willing to pay more for these wines? Or will they see them as just Chilean wines — very good, but no need to pay a premium for them? That’s the first big question. 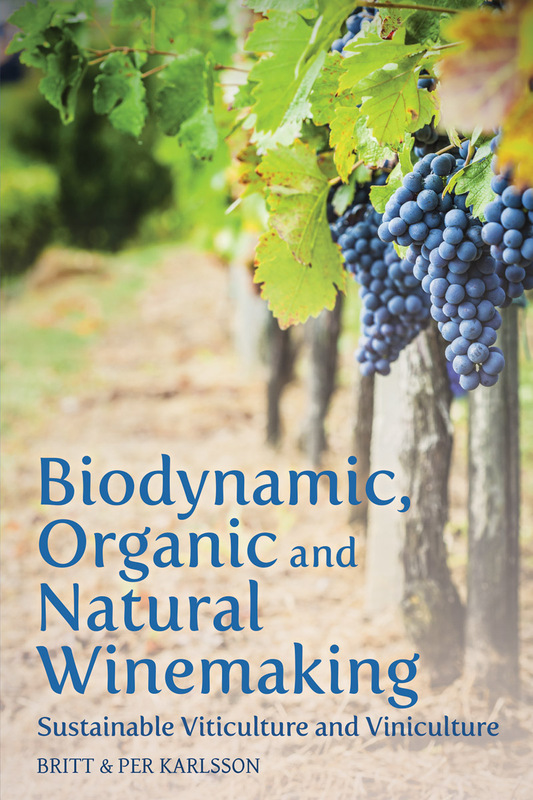 Marina’s essay also raises questions about biodynamic viticulture. Biodynamics is one of the most controversial topics in wine these days and you can see why people would be skeptical that it is only a gimmick. We live in an age of science and technology and the processes of biodynamic viticulture have a medieval feel — more like alchemy than rocket science. And the results are qualitative, which is inconvenient in a quantitative age. 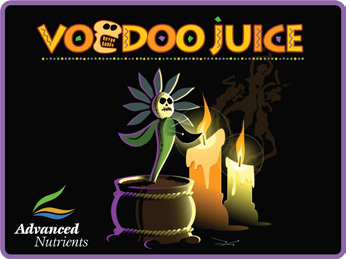 Voo-doo viticulture? You be the judge. And yet I know a number of very hard-headed wine makers who have embraced biodynamics, some openly and others on the sly. Caution is warranted because consumer reaction to biodynamics is still unclear. Many wine enthusiasts still don’t know what it is and some seem to have it backwards — associatiing biodynamics with GMO vines — Franken-wines! I admit that I am cautious about embracing biodynamics, but I try to have an open mind. It is easy to believe that we know everything there is to know about growing grapes and making wine. After all, how difficult can it be? We have centuries of experience and tons of scientific research. If biodynamics really worked, doesn’t it make sense that we would know it by now, have irrefutable proof and everyone would be doing it? If it isn’t a proven process by now it must be hokem. And then I remember malolactic fermentation. Winemakers observed the process of malolactic fermentation for centuries without understanding it. The actual scientific process is a relatively recent discovery. Before Emile Peynaud figured it out back in the 1950s and 60s, malo was kind of a voo-doo dance in the wine barrel. “Malolatic fermentation happens in the wine in the spring by sympathy with the sap rising in the vines” — that was the pre-Peynaud view according to Benjamin Lewin’s book, Wine Myths & Realities. It took several decades to tease out out what was really going on in the post-alcoholic fermentation juice and I think winemakers are still experimenting to discover the when, where, how and why of controlling it. So I’m just saying that if it took so long to really understand malolactic fermentation, maybe it will take a little longer to figure out what’s happening (or not happening) with biodynamics (and why) and I’m not in a hurry to make up my mind. Wine is a big world and it can probably accommodate many different religions and beliefs. Even voo doo is welcome here (or should be), if that’s what it turns out to be. In the meantime, I can appreciate why the Chileans might even resort to voo doo to break out of their good-but-cheap-wine cycle. And I hope it works for them! Editor’s Note: Marina Balleria, one of my students at the University of Puget Sound, studied in Chile in Fall 2010 and, knowing of her interest in wine and society, I invited her to craft an essay for publication on The Wine Economist website, which you will find below. The essay is inspired by a visit to a biodynamic winery, but Marina uses it as a springboard to comment on broader issues. Use a wineglass as a lens to view society? Where could she get an idea like that? Marina is studying in Morocco now — I wonder what stories wine will reveal to her there? Thanks, Marina, for this contribution to The Wine Economist. As you drive through the Casablanca Valley, nestled in between Santiago and the coast of Chile, you could be in Northern California. The valley is an irrigated green underneath hills of sparse shrubs and cactus. You pass a vineyard, an olive oil plant, another vineyard, and then “Emiliana Organic and Biodynamic Wine”. The phrase “biodynamic wine” is usually met with blank stares in Chile. Perusing the supermarket aisles or the shelves of the botillerias, where most Chileans buy their wine, biodynamic is absent from the labels. In fact, most of the more conscientious wine options such as “fair-trade” and “organic” are not available to the average Chilean wine customer. Biodynamic wine does have that. This viticulture first made a stir because of its unconventional farming practices based on the teaching of Rudolf Steiner, the founder of anthroposophy and of Waldorf School-fame. These include lunar calendars that decide harvest dates, “preparations” concocted of red deer bladders and yarrow and homeopathic treatments used for pest control and dispensed according to the zodiac calendar. All this is meant to create farms that are self-sustaining yet interconnected systems. 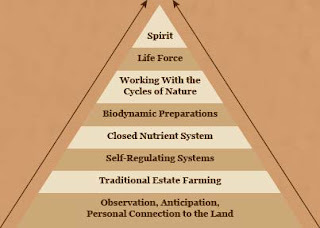 Outside of the biodynamic community, these practices are met with skepticism, as scientific proof is shoddy at best. According to a six-year study from Washington State University, biodynamic and organic grapes differed in no substantial way for any of the “physical, chemical and biological parameters tested”, upending claims to the contrary. However, biodynamic wines are being given excellent scores by testers and some recognize it as a way to preserve terroir. What it seems to come down to is that wine growers willing to meticulously grow grapes according to the lunar calendar tend to be equally detail-oriented in other aspects of wine production, resulting in finely, if bizarrely, crafted wines. In any case, biodynamic wine has received premium billing in many wine shops across the globe. Back in Chile, the wine producers have taken notice. As you take the tour in Emiliana’s Casablanca winery all of the hallmarks of biodynamic farming are carefully on display. The tour guide gives you the standard lines about a concern for the environment and points with pride to the portable chicken coop, used for pest control. He glosses over the grittier parts of biodynamic farming, calling it “the next level of organic” and Steiner is only briefly mentioned. He does affirm that it is “actually a science” and contends that the only proof necessary is in the bottle. We pass by the deer bladders hanging out to dry and duck into the cellar where the preparations absorb the cosmic energies. Apparently, it is common for guests to burst into laughter during this portion of the tour. Next is the social responsibility component—the community garden in which the rows belong to different workers, allowing the workers to harvest their own biodynamic food and sell the chickens’ eggs. Emiliana also produces olive oil and honey so the workers have employment year round. It is later revealed after gentle probing that this plan benefits about 35 workers out of the 200 or so that are employed during harvest season. The harvesters are not higher paid than at neighboring vineyards. Emiliana is a higher coveted employer however, because as with organic farming, it provides a pesticide-free workplace. “This isn’t something we are allowed to say, but we wouldn’t exist without Concha y Toro,” our tour guide tells us after we ease into our chairs for the wine tasting. Concha y Toro, one of the biggest producers of wine in Latin America put out a wide array of wines, some occupy the bottom shelves of Chilean liquor stores and others come with hundred-dollar price tags. Names include Casillero del Diablo, Amelia and Don Melchor. Emiliana, named for the wife of the founder, is the brand used for their sustainable lines. Emiliana went organic in 1986 and biodynamic in 1997, going through the costly certification processes for both. They proudly announce that they have the distinction of being one of the first in Latin America to do so, a testament to the not-so-friendly rivalry between Southern Cone wine producers. Concha y Toro can quietly put up the capital for ventures such as Emiliana Organic and Biodynamic wine but the both try to avoid association. Emiliana is made with eyes for the international market as 90% of its products are sold abroad with some lines produced exclusively for export. This is not uncommon for fine wines. According to my tour guide, the grand exodus of wine from Chile is because of a lack of an endemic Chilean wine culture. Basically, there is not a sufficient domestic demand to keep luxury brand wines in the country. I beg to differ. Here, wine is a requisite at any meal and the bottle is invariably Chilean. However, cheap wine is decent wine and incomes are limited. It is budgeting that keeps the Chileans from buying more expensive wine, not cultural disregard. Likewise, for the producers there is more to be gained by selling abroad. It is simple economics. Taken as a whole, the Chilean wine industry demonstrates a larger truth of the Chilean economy. The country’s economy is largely export-based, with a current account balance of $4.2 billion (29th in the world). Many of these exports are commodities, with the top five highest-valued export commodities being copper, fruit, fish products, paper and pulp, chemicals and, of course, wine. Winemaking is not only lucrative but can become more so as Chile’s finer wines are established, making it a sustainable industry with growth potential. To try realize this goal, Chileans are adhering to the maxim that Glen Aldrich laid out: do what is new, different and marketable. Herein lies a debate familiar to most International Political Economy students: does this time of export-driven growth create irreversible dependency on other countries and represent little more than exploitation? Or, does is this introduction into the global market economy that allows them to grow in ways that would be impossible otherwise and is only a stage in its development? I, like any indecisive student, choose option C: it depends. If Chile invests this income in the right way with education, technology and research, it could be a benefit to all. If not, the more pessimistic option could become true. Biodynamic wine provides a test case of how Chile is pursuing its growth, with an eye for the tastes of the outside markets and little regard for what happens at home. Whether this development model is successful, sustainable and spreads throughout the social strata remains to be seen. A good indicator to watch may be what kinds of wine are served with dinner. Interviews were conducted informally by yours truly. Scientific research about biodynamic wine vs. organic comes to me by way of The Skeptical Inquier’s article titled “Biodynamics in the Wine Bottle” by Douglass Smith and Jesús Barquin, originally published December/November 2007. It can be accessed at http://www.csicop.org/si/show/biodynamics_in_the_wine_bottle/. Statistics on Chile’s economy are from the CIA World Fact Book, accessed January 18, 2011. It’s finals week at the University of Puget Sound, so I’m thinking about the question, what wine goes best with final exams and term papers? A sweet wine, to capture the sweet taste of success? Some bubbles to celebrate finishing one set of tasks and moving on? Or maybe a bitter sweet wine, because moving on inevitably means leaving some people and relationships behind? Hard to figure how best to match a wine with all these emotions. It’s a difficult question. But I know one wine that doesn’t match up very well. My class on “The Idea of Wine” organized an informal tasting on Monday to celebrate finishing their term papers. The main project was a blind tasting of inexpensive (some were very inexpensive) Merlots. I was impressed with the students’ serious efforts to evaluate and score the wine and their recently acquired (and, for college students, somewhat unnatural) propensity to use the dump bucket. We tasted other wines including a Chinese wine that Brian West personally hauled back from Beijing a few years ago. It was a 1999 Changyu Cabernet Sauvignon. Changyu is China’s oldest winery and a good example of a mid-market Chinese wine (I wrote about Changyu and the Chinese wine industry in The China Wine Syndrome). I found a video review of this wine on the web (click here to view it, but be forewarned that there is some harsh language used by the reviewer) that described the wine as being all about ashtray and coffee ground flavors with aromas of urinal crust. Hard to imagine. Until you taste it, that is. The description is right on the money. I’ve read many optimistic reports on the Chinese wine industry, mostly based on high potential production volumes and not so much on quality. The quality wasn’t there in 1999, based on this wine, but there is reason to believe that things are changing. I sure hope they are! The dump bucket got good use on this one. I’m reading my students’ final papers now – they are quite good, by the way – and I thought you might be interested in their topics. I gave them great freedom to choose topics that interested them or related to their academic majors. You can find a list of the paper titles at the end of this post. Most people think education is about learning the right answers, and this is certainly important, but I think the more valuable skill is learning to ask the right questions, and this is true about wine. I was impressed by the creativity of the questions my students asked. One student, a Finance major, asked why Treasury bill auctions and wine auctions have different structures and what the impacts might be? A very interesting theoretical treatment. Another student did fieldwork in three wine retailers to try to understand the actions and interactions of wine buyers and wine sellers. The result was a revealing first person account of wine consumer behavior. An economics student who grew up in Napa Valley examined issues relating to migrant labor there, combining economic theory, empirical data and personal observation very effectively. All the papers were very interesting. My favorite title: “How corks are being screwed over” (an analysis of the cork versus screw cap debate). Imagine, I get paid to read this! Looking at the list of paper titles, I’m struck by how many students were drawn to issues of sustainable or ethical production and consumption: organic wine, climate change, biodynamic wine, fair trade wine and so forth. In general their analysis was thorough, pointed and objective. They have “soft hearts” and “hard heads,” as Princeton Economist Alan Blinder would say. They care about social issues, but think about them critically. Blinder says (and I agree) that’s better than the other possible combinations: soft head/hard heart, soft heart/soft head or hard head and heart. Climate Change: what it means for Spanish vineyards. Oak in Wine: an exploration into differences. What makes that bottle so expensive? Wine brands: friend or foe? The answer, of course, is wine. Perhaps the most interesting trend that I have observed in wine this year is the growth of green wine. By green I mean wine that is made and marketed with attention to the environment (although vinho verde from Portugal can claim to be a green wine on other counts). What drew my attention to the green wine movement was not the existence of organic wines — they’ve been around for a long time — but the variety of ways that winemakers are embracing sustainability and the environment as an integral part of their work. I haven’t studied the LIVE program closely, but my impression is that it is an attempt to both promote sustainable vineyard practices and, at the same time, take local control of the certification process. Why create an organization like LIVE — why not just go “organic” and be certified organic? I have talked to a number of winegrowers who hesitate to seek organic certification because of the considerable expense and also because the sort of sustainable viticulture they seek to practice goes beyond the avoidance of chemicals. Regional initiatives like LIVE allow groups of growers to define sustainability in a way that is compatible with local conditions and practices and to retain local control of the process. Some winemakers are going all the way when it comes to sustainability, which is what the biodynamic wine movement is all about. Biodynamic winemaking is based upon a set of agricultural theories that the Austrian philosopher Rudolf Steiner proposed in the 1920s. The biodynamic idea is to treat the entire vineyard as a living organism and to adopt practices that promote the health of the entire structure — vines, soil, insects, and so forth. This reminds me of the famous Gaia Hypothesis that the whole earth is a living organism. Most biodynamic practices are uncontroversial, but the use of special organic field sprays draws special attention. The sprays are made by burying cow horns full of cow manure or ground quartz in the vineyard for six months and then spraying the estate with the resulting composted product in diluted form at specific times of the day and phases of the moon. The idea is to promote microbial health and the balanced growth of the vineyard. It sounds a little like voodoo viticulture, to me, but there are plenty of good winemakers who have adopted this practice so I am going to keep my skepticism in check for now. Several Oregon winemakers including Brick House and Cooper Mountain have gone or are going biodynamic. They join California producers including Frog’s Leap, DeLoach and Benzinger and a growing number of winemakers in Europe and around the world. I understand that many winemakers in Chile such as Emiliana Orgánico are adopting biodynamic practices, for example, both on philosophical grounds and, I suspect, in an attempt to differentiate their wines in the marketplace. (Click here to read Emiliana’s explanation of the principles of biodynamic viticulture). I haven’t tasted enough biodynamic wine to have an opinion about how the process affects the end product. The first winery registerd with the US Green Building Council, The Carlton Winemakers Studio was designed to be compliant with LEED (Leadership in Energy and Environmental Design) certification, promoting a whole – building approach to sustainability by recognizing five key areas of human and environmental health: sustainable site development, water savings, energy efficiency, materials selection, and indoor environmental quality. The Winemakers Studio’s strategy suggests that green wine can be good wine, good economics and good for the environment. Sustainability is obviously important in winemaking, but it doesn’t end there. A growing number of wine brands, such as French Rabbit, are embracing sustainability in wine packaging and transport. Here’s how Boisset America, the French firm that makes and markets French Rabbit (and owns biodynamic DeLoach) got into the sustainable packaging business. “Our real immense success was with Liquor Control Board of Ontario. They inspired the creation of French Rabbit. As a goverment entity they were interested in challenging themselves and their suppliers to reduce packaging waste. They set an ambitious goal of eliminating 10 million kilograms of packaging waste per year. There were no other wines yet available in Tetra Paks when we presented French Rabbit, and they immediately embraced the concept. FR was the most successful launch of a new brand they’ve ever had, and spawned more than 75 other wines in Tetra Pak packages since French rabbit was launched there in July 2005. The success helped the LCBO reach their packaging reduction goal some 2 years ahead of schedule. Here in the US, there are really 3 primary brands [in Tetra Paks] so far, with more on their way. It seems to me that the wine industry is ahead of the curve with respect to sustainability and the environment. Wine is a product of nature, after all, and there are special reasons, aesthetic, philosophical and economic, why winemakers should wish to emphasize that connection. Green wine, I predict, is here to stay.